LEXINGTON, Ky. (June 2, 2014) — Retail giant Walmart retained its top spot on Fortune’s list of the top 500 American companies, released today. Five Kentucky companies were named to the list, which ranks companies by total revenues. Three other Kentucky corporations were listed among the top 1,000. Louisville-based Humana Inc. held onto its No. 73 ranking. The healthcare company had revenues of $41.3 billion, a 5.6 percent increase from last year, and profits of $1.23 billion, an increase of 0.7 percent. The company’s market value, as of March 31, is $17.36 billion. The next Kentucky company on the list was Yum! Brands, ranked No. 216, down 15 spots from last year’s ranking of 201. 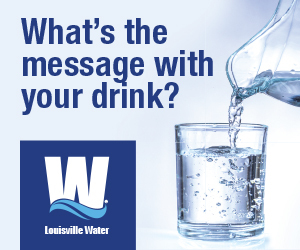 The Louisville-based company had revenues of $13.08 billion, down 4 percent from last year, and profits of $1.09 billion, down a whopping 31.7 percent. The fast-food restaurant company’s market value is $33.39 billion. Ashland Inc., a transportation construction, chemical and petroleum company headquartered in Covington, was ranked No. 344 on the Fortune 500, down from last year’s ranking of 321. Ashland had revenues of $7.8 billion, a decrease of 4.8 percent over last year, and profits of $683 million. Its market value is $7.74 billion. General Cable Corp., manufacturer of copper, aluminum and fiber optic wire and cable products, was ranked No. 405, up 20 spots from last year. The Highland Heights company’s revenues were $6.42 billion, up 6 percent, and the company reported an $18 million loss for the year. Its market value is $1.26 billion. Kindred Healthcare Inc. of Louisville was ranked No. 441, down from last year’s ranking of 410. Its revenues were $5.8 billion, a decrease of 6.4 percent, and the company reported a $169 million loss. Its market value is $1.26 billion. The three Kentucky companies also named, but not in the top 500, were: Lexmark International, ranked No. 639 (down from last year’s 609), with revenues of $3.66 billion; Brown-Forman Corp., ranked No. 760 (up seven spots from last year), with revenues of $2.84 billion; and Tempur Sealy International, ranked No. 850 (not ranked last year). 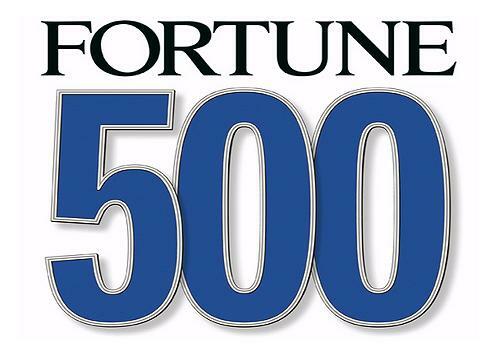 Fortune has been printing its Fortune 500 list since 1955.